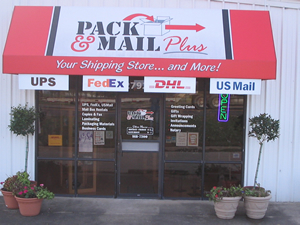 Welcome to Pack & Mail Plus, Stephenville’s only one-stop packing, shipping, and mailing center. We are an authorized shipping center for UPS, Fed Ex Express & Ground, DHL, and US Mail services. 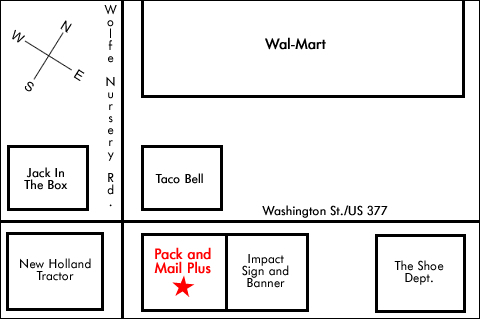 We accept pre-paid shipments and drop-offs, and we sell stamps at Post Office prices. We have a great selection of greeting cards, invitations, gift sacks & boxes, as well as shipping and moving boxes of all sizes and packing material. Come by and see our selection of gifts or shop at our online store. We are locally owned and operated and our mainl goal is to provide the best customer service in town. Let us know if there is anything that we can do to better serve you! Bring it in packed or let us pack it for you!